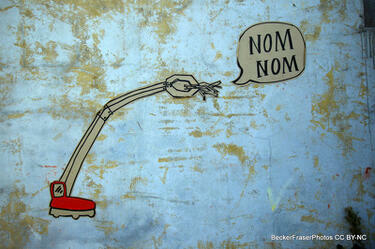 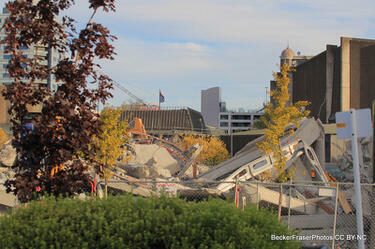 Photograph captioned by BeckerFraserPhotos, "Peterborough Street". 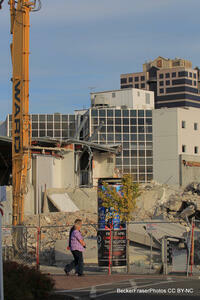 A digger being used to clear the rubble from the Convention Centre on Peterborough Street. 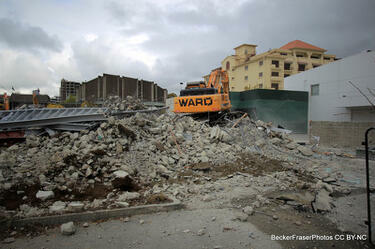 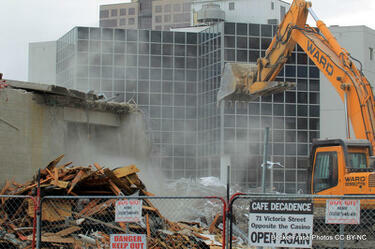 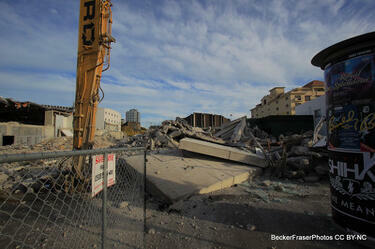 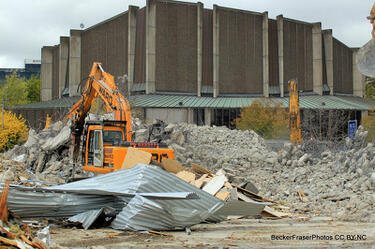 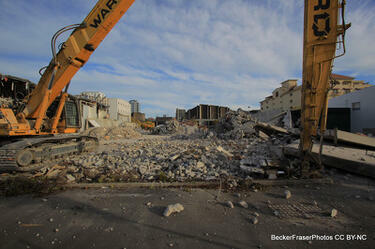 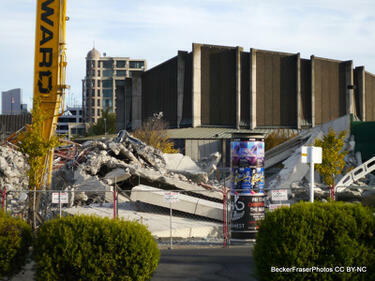 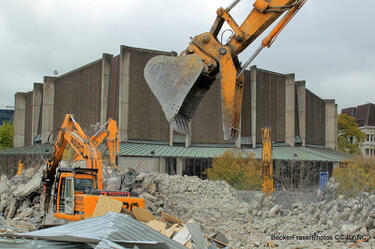 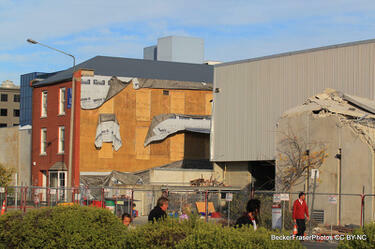 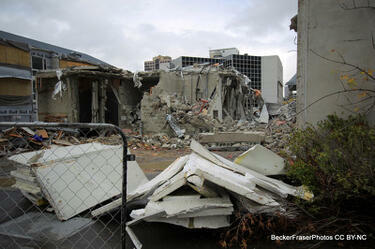 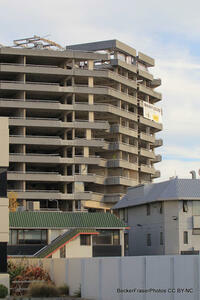 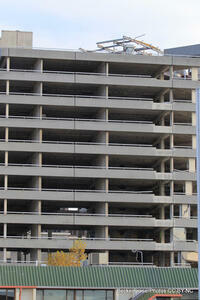 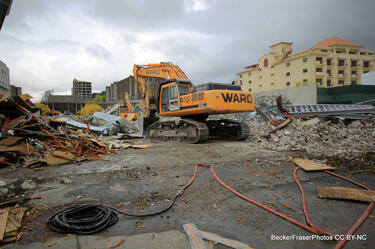 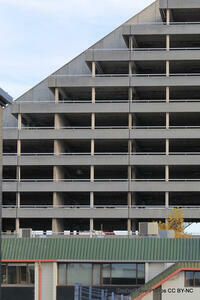 Photograph captioned by BeckerFraserPhotos, "Demolishing the Convention Centre, Peterborough Street". 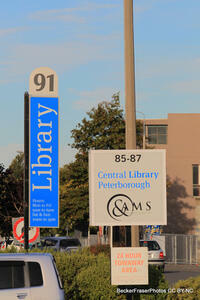 Photograph captioned by BeckerFraserPhotos, "south-west corner Colombo and Peterborough Streets". 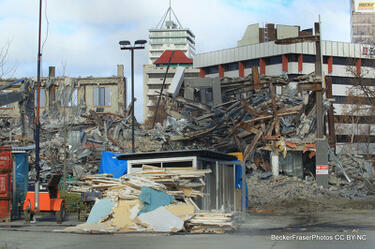 Photograph captioned by BeckerFraserPhotos, "The remains of the Convention Centre viewed from Peterborough Street with the Town Hall a block away on Kilmore Street". 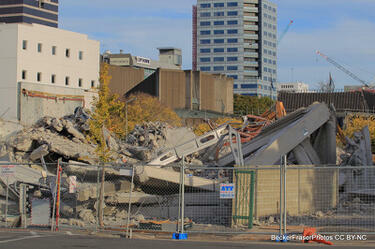 A digger being used to clear the rubble from the Convention Centre on Peterborough Street. 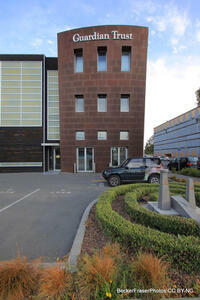 In the background, the Town Hall can be seen.